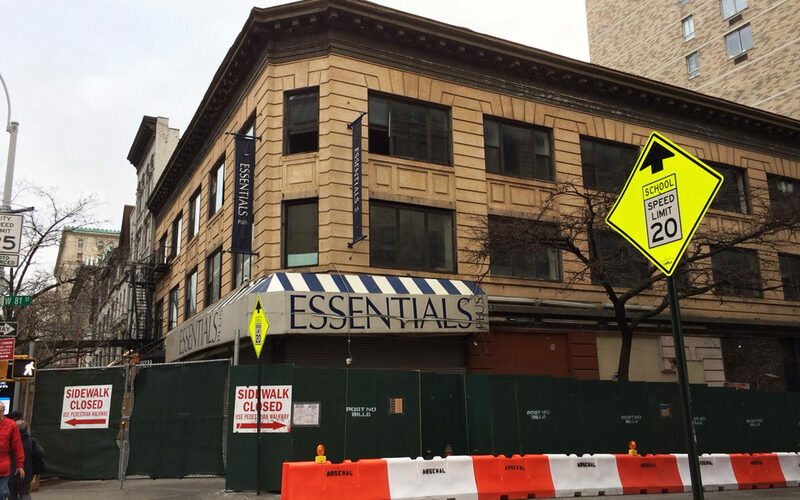 Construction plans move forward for the former Essentials building on Broadway & 81st Street. The fence went up around the property, this month, a prelude to the coming demolition. Not without issue, however. Soon after the fence went up, a “Partial Stop Work Order” was issued from the Dept of Buildings. The demolition permit is in process. The site will eventually give birth to an 18-sty residential building, most likely condos. Development rights to the site were sold in 2016 to Alchemy Properties in partnership with private equity firm the Carlyle Group. According to an April 2016 Curbed NY article the new building will range from 2 units to 3 units per floor with one unit occupying the 18th floor. WEPS is in total sympathy with what you are enduring, but am so sorry to hear that hatred is being wasted on WEPS. What is your take on the situation that you think WEPS is to blame?